Note: This page is intended for our international readers only. Following the introduction of the Interactive Gambling Amendment Bill in September 2017, online casinos are banned accepting Australian players. For Australians, the content on this page is informational in nature only. If you aren’t privy to playing blackjack online, but often play at brick-&-mortar casinos, then you are missing out. Playing 21 over the web has some distinct advantages over playing at a land based casino and we are here to detail what those benefits are. The ways in which we can play blackjack over the Internet provide greater flexibility, and offer unique features unavailable at many land-based casinos. 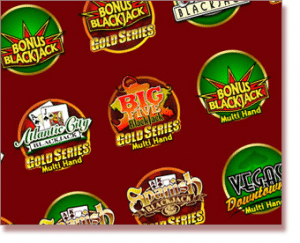 By downloading specific casino software, or choosing to play instantly with no required downloads (Flash or Java), we gain access to 100% certified gaming technology, superior payouts and house edges, a plethora of diverse variations of the stock-standard blackjack, live dealer play, privacy, bonuses, tournaments, and more. Internet casinos are undoubtedly the favourable option for a game of blackjack in terms of accessibility. Whether you’re a new and inexperienced player, or a seasoned gambler, the abundance of available gaming options online is more convenient for most than travelling to a casino to play our favourite game (unless you’re lucky enough to live next door to one, in which case you’re probably up for eviction… I know I would be). With mobile and tablet on-the-go versions for blackjack games, digital 21 has never been more accessible, and only stands to become more available with the development of technology. And besides, it’s often good to avoid dressing up in fancy suits and just play in your boxers from the comfort of your own home. Go in to a land-based casino and ask the staff to put the chips you purchase on your credit card. They’ll look at you like you’re from another planet. We have so many available banking options when playing 21 online that listing them all here will bore you (having said that, here is an internal link to our article about online blackjack withdrawal and deposit methods). From credit and debit cards to direct bank transfers and E-Wallets like Neteller and Skrill (all secure and globally trusted), depositing and withdrawing money, as cliché as it might sound, is as easy as 1, 2, 3. Internet Blackjack is generally more accessible for new players who are eager to learn how to play without the intensity and pressure of a live game. There is an abundance of tutorials and free play practice games available which can be played at our own pace, and these are great ways to experiment with basic strategies and hone your skills without worrying about losing money, or the moves and reactions of other players. Sign up and practice until your hearts content; definitely an ideal place to start. A big draw-card of web blackjack for those who appreciate the relationship between dealer and player, is the table games (specifically blackjack, roulette and baccarat) which showcase live human croupiers instead of virtual ones, presented to players through high quality video streaming, offering a sociable, interactive experience over the computer. These attractive young dealers are based out of a specialised gaming studio where the set-up is just like a casino; we can interact with them, and if need be, their superiors, via live text chat, taking away the virtual barrier that existed prior to the widespread implementation of such games. Looking for the best odds, payouts and house edges at land-based casinos can sometimes be an unnecessary headache. It’s natural for every gambler to want to find the most generous tables, but doing so can be can be tough, especially if you’re playing at an establishment without any nearby competition, where they simply don’t need to compete to match odds and payouts. Web-based casinos come in their thousands and the competition is a lot more diverse and fierce and all are vying for our play, so they bump up their incentives. The amount of blackjack variants and diverse rules available at casinos like All Jackpots are aplenty, so the scope for better payouts and house edges, bonuses and progressive jackpots is large. Online gaming platforms don’t need to cover nearly as many overheads as their B&R counterparts; they have much fewer expenses in the long-run, so again, offering more money to their players is possible. The majority of Internet casinos offer games of 21 with a minimum bet of $0.50 per hand and a maximum of up to $500 per hand, with the option of single or multi-hand games. Lower stake games gives wiggle room for lower house edges. With the massive range of diverse versions of 21, those of which you’d struggle to find at a land based casino, web-based blackjack is worthy of our time and money. Online casinos offer great welcome bonuses for first-time players; free cash after a small initial deposit. They run tournaments on a consistent basis, give away daily, weekly and monthly cash prizes, and offer a rewards program on top of their gambling experiences, where players can earn points which translate in to withdrawable money. 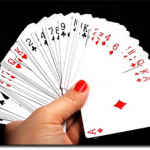 Web-based blackjack is not a boring or bland alternative to our favourite card game. Such games incorporate impressive and solid graphics, appealing themes and ambient sounds to help replicate the energy of a land-based game. The details in many of these games provide fun new takes on the traditional blackjack game, and helps to give you the best, most authentic casino experience possible from the comfort of your own lounge. The privacy of gambling over the Internet is second to none. For players who enjoy playing solo rather than with others, who aren’t overly fond of noise and crowded areas, and beginners who want more control over their first few serious games, online casinos are the ideal platforms to take advantage of. 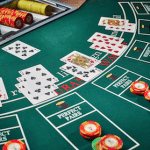 There are plenty of games tailored to every kind of player and their personal bankrolls, and the pressures some may feel while playing at a real life casino are immediately lifted. We also don’t have to worry about high and low rollers in the web environment. Playing web versions of 21 is great for players who like to keep a more accurate track of their winnings, losses and moves in an easy-to-read format. The gaming sites we have suggested all incorporate visual records of your winning and losing statistics, located on a side-bar of your browser or application. The software keeps a record of how much money you’ve spent, and can help you analyse whether or not you’re using a good strategy, which can potentially lead to more fruitful returns. With increasingly sophisticated technology and video simulations, the once noticeable gap between online and land-based blackjack has closed dramatically to the point where web-based platforms are beginning to overtake their land-based colleagues, and they will most likely continue to gain momentum.